Debt.com » Credit Card Debt » Is Using a 401k to Pay Off Credit Card Debt a Bad Idea? Except in one rare instance, tapping retirement accounts for high interest rate credit card debt only delays your retirement goals. When credit card debt debt problems start to cause problems for your budget to the point that you’re juggling bills, putting off payments you can’t afford, and choosing between expenses, it’s easy to be drawn to almost any port in the storm that might help you get relief. And if you have money sitting in a retirement account like a 401(k) or an IRA, it’s almost natural to consider taking some out to help yourself out of your current situation. Still, you’re always told that this kind of financial practice is a bad idea. It’s like robbing Peter to pay Paul, except both of them are actually you. You’re taking money away from yourself. Sure you get out of debt now, but how are you going to feel when you’re working a part-time job in your golden years because you dipped into your retirement? So is dipping into your retirement account for credit card debt EVER a good idea or is it all bad? There are some very good reasons why you’ve always heard withdrawing from a retirement account is a bad idea – and taxes are hold all three top spots on that list. First comes the tax penalty. If your money is in a 401(k) or a traditional IRA, then you will incur a 10 percent penalty on any money withdrawn. So if you withdraw $20,000, you pay a $2,000 penalty. The only account not affected by the early withdrawal penalty is a Roth IRA. Fact: The 10% early withdrawal penalty does not apply if you are over age 59 1/2. Next, you will have to pay income taxes on the money you withdraw – essentially because it counts as income that you brought in for the year. This applies no matter what type of retirement account you have. So if your thinking of taking money out of a 401(k) or traditional IRA, that’s a one-two punch of taxes you’ll face on the money you withdraw. Finally, you have the risk that the money you take out (which counts as income for the year) can knock you into a higher tax bracket where your taxes may be higher. If you’re taxed at a rate of 25% and then suddenly get bumped into a bracket where the rate is 28%, that could even mean that you end up owing money instead of receiving a refund. And those are just the top three reasons it’s a bad idea. You’ll have less money at retirement, and that could be a harsh reality to deal with in your late sixties (or later if you have to delay retirement because you took out money). 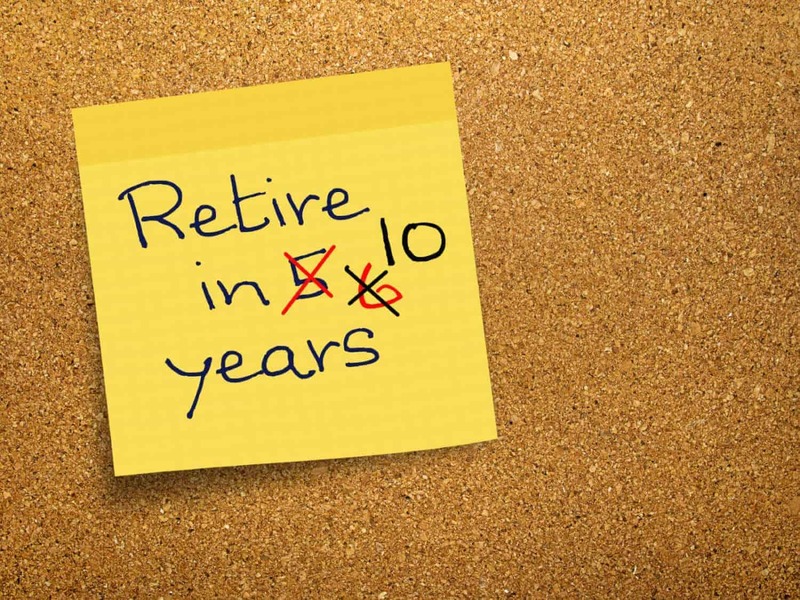 So you’re risking full retirement at the time you want to retire. The older you are and the more money you take out, the greater this risk is. With all of that being said (and as with almost all things in life) there is still a tiny margin of space left where withdrawing from a retirement account can be a good idea. But the numbers and your situation have to align perfectly to make it happen. If you are young (usually under 35), you’ve contributed consistently to one or more retirement accounts since you graduated with significant contributions, and will commit to making larger contributions to put the money back quickly, then the math stars may align to make it a good idea. But you have to weigh the financial risks. That means assessing the interest charges and penalties that will accrue on your credit card debts versus the tax penalties you’ll have on withdrawing the money. You also have to factor in the growth of money in your retirement account to understand how long it will take to replace what you took AND what it would have grown to had it been left alone. If that sounds complicated, that’s because it is. There are sites out there that will walk you through basic hypothetical examples, but specifics are what’s actually important here, so it’s not really that helpful. If you’re considering this, you need to talk to someone first unless you’re familiar enough with tax code to do the calculations yourself. If not, talk to a tax professional first. You may also want to contact a credit counselor, since options like debt consolidation can lower your payments and solve your credit card problems without ever touching your retirement money. Article last modified on January 3, 2019. Published by Debt.com, LLC . Mobile users may also access the AMP Version: Is Using a 401k to Pay Off Credit Card Debt a Bad Idea? - AMP.